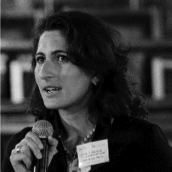 Before joining LCIA, Eliana was Counsel of the ICC International Court of Arbitration. Previously, she practiced for 7 years in the law firm Bonelli Erede Pappalardo (Milan office) and focused on international arbitration, primarily related to foreign investments, contracts of construction and commercial contracts. Eliana holds a double degree in law (in France and Italy) and completed her studies at the College of Europe (Bruges) by obtaining an LL.M. in European legal studies. She is author of publications on international arbitration.